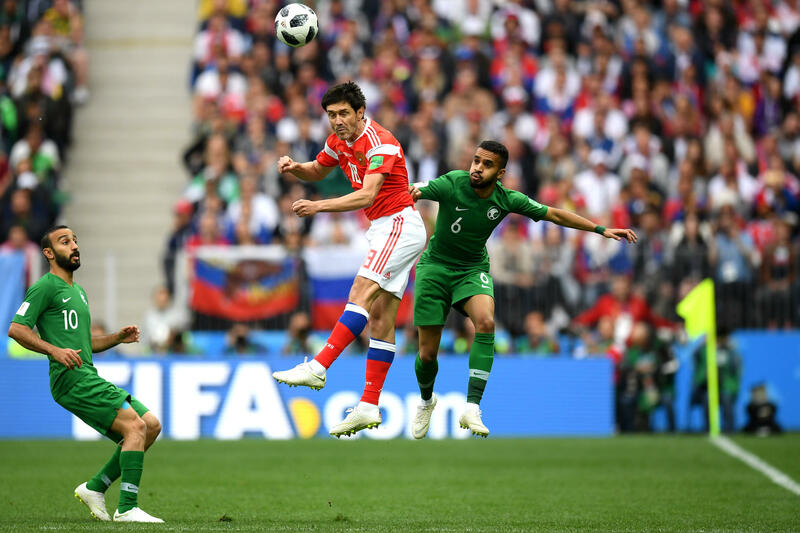 Yury Zhirkov of Russia wins a header Mohammed Alburayk of Saudi Arabia during the 2018 FIFA World Cup Russia Group A match between Russia and Saudi Arabia at Luzhniki Stadium on Thursday in Moscow, Russia. 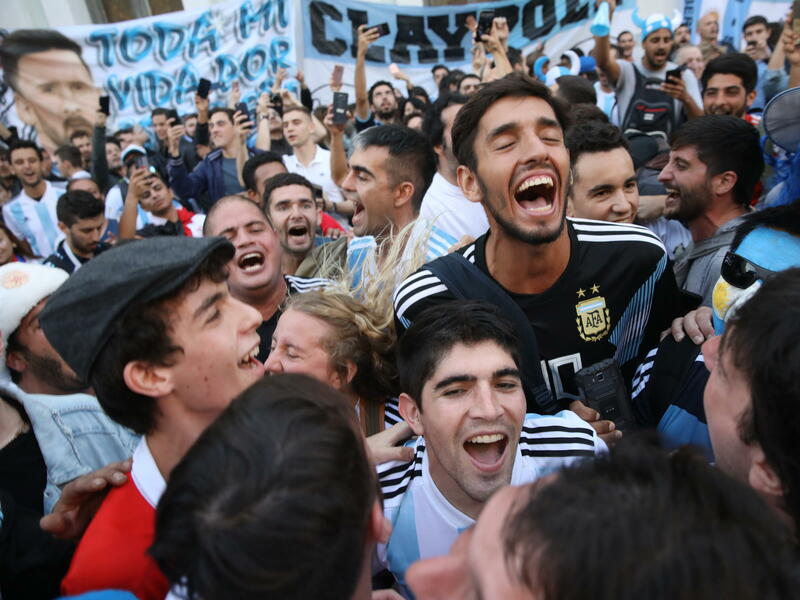 Argentina fans gather in the streets of central Moscow on Wednesday ahead of the 2018 FIFA World Cup. 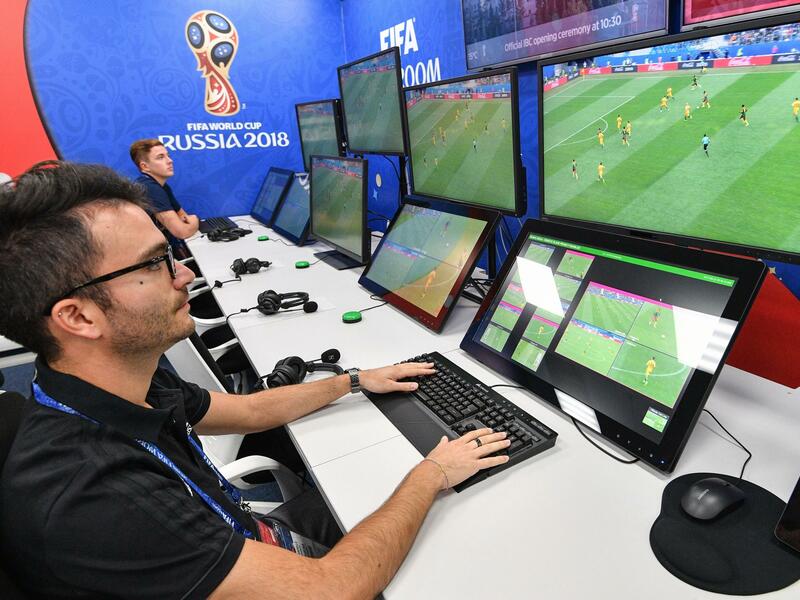 A view of the video assistant referee (VAR) operation room at the 2018 FIFA World Cup Russia broadcast center in Moscow this week. Mohamed Salah of Egypt during a friendly match against Portugal in March. In the opener, host nation Russia will take on Saudi Arabia. No host team ever has lost the opening match of the World Cup. South Africa is the only host nation to not advance to the knockout stage; Russia hopes to avoid that fate. On Friday there will be three games: Egypt vs. Uruguay, Morocco vs. Iran and Portugal vs. Spain. The full schedule is here. When can I watch the U.S. play? (Sad trombone.) You can't. They failed to qualify, for the first time since 1986. But! (Happy trombones!) In a united bid with Canada and Mexico, the USA was just selected to host the 2026 World Cup. FIFA hasn't said yet whether all the host nations will get automatic spots in the tournament. The field is expanding from 32 teams to 48, though, so the Yanks have a good shot either way. Remind me what happened last time? Germany beat Argentina 1-0 in the final in Rio de Janeiro. The tournament's greatest agony belonged to the host country, after Germany demolished Brazil 7-1 in the semifinals. No surprise here: Brazil and Germany. Spain and France aren't far behind — though Spain just fired its coach two days before the country's first game in the tournament, so that could change its prospects. Spain fan Max Fontaine, in Sochi, Russia, for Friday's game against Portugal, told NPR's Alina Selyukh the decision was "crazy." "We were like, 'What is happening?' The World Cup is starting tomorrow," he said. "I hope the guys will be strong enough to manage that and to control themselves." Selyukh found the host country's residents more cautious than optimistic about their team's chances. "I root for Russia, because I'm a patriot, but I think that's going to be over pretty quickly, so I'm also rooting for Brazil," said Temirvan Khashev. Any new rules or technology this year? Video assistant referees will help make officiating calls. There will be 13 current or former referees watching on screens in a video control room. Assistant referees on the field have been instructed to keep their flags down on close offside calls, and let the VAR make the decision. The referees in the booth will wear full referee kits, just like their counterparts on the field. "It's because they sweat like they do on the pitch," the chairman of FIFA's referees committee told reporters last week. "It's not like watching a game on the couch while drinking coffee*. It's very stressful, so they can't be dressed like a clerk." Where are the matches taking place? The tournament's 64 games will be played at 12 stadiums throughout Russia, with the opening match and the final held at Moscow's Luzhniki Stadium. Among the other arenas is Sochi's Fisht Stadium, built for the 2014 Winter Olympics. Russia has been criticized for building a new stadium in Kaliningrad on an island, one of the city's last natural wetlands. As The Associated Press reports, venues built in other Russian cities raised environmental concerns too. The BBC has photos of all the stadiums, and you can see them from above at The Guardian. Who are some players to watch for? 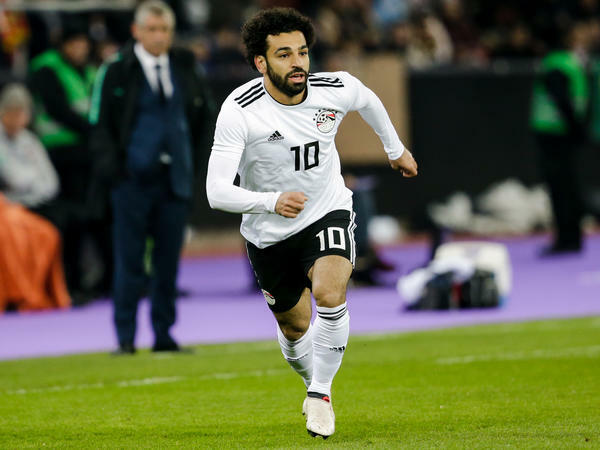 Egypt has one of the tournament's most exciting players, Mohamed Salah. He had a breakout season at Liverpool, where fans have created this chant: "If he's good enough for you, he's good enough for me. If he scores another few, then I'll be Muslim too." The Pharaohs are making their first World Cup appearance since 1990. Salah suffered a shoulder injury in the Champions League final, and team officials say it's uncertain whether he'll play in the opener. South Korean forward Son Heung-min's star is rising fast: The Tottenham Hotspurs forward is now the top Asian goal scorer in the history of the English Premier League. His agent told Time that Son wears a surgical mask in public in Seoul to avoid being mobbed. He turns 26 soon, and as The Telegraph reports, South Korea requires able-bodied men to start 21 months of military service before age 28 — a spectre weighing on the footballer and his fans. France's 19-year-old Kylian Mbappé, who grew up in the banlieues of Paris, has made a name for himself at Monaco and Paris Saint-Germain, and not only for his eye-popping transfer fee — second only to Brazilian star Neymar's. Now he just needs to stay healthy. France's Antoine Griezmann is known for his homage to Drake's "Hotline Bling." Recently he has been doing a jig from the video game Fortnite. And of course, whatever Ronaldo does. What about corruption and hooligans? Sepp Blatter, FIFA's former president who was suspended in 2015 for corruption, will attend the World Cup as a guest of Russian president Vladimir Putin. In the UK, police have seized the passports of more than 1,200 Britons to prevent them from attending the World Cup. The government said it will have police deployed at major UK ports during the World Cup to stop "known troublemakers" from travelling to Russia, and will also send a sending a policing delegation to the World Cup at Russia's request. 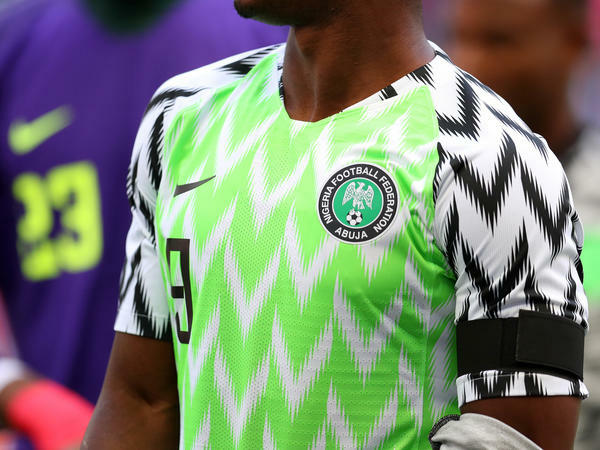 Which country has the best uniforms? Is there an official World Cup anthem? Yes. But it does not match the hip-shaking fútbol dancefloor vibe of the 2010 song by Shakira. Which team should I root for? WNYC has some suggestions from New Yorkers from around the world. And FiveThirtyEight has a handy quiz to help you decide. If you like underdogs, consider Iceland: They're playing in their first World Cup, and they have a Viking-inspired clap that gives this reporter chills. NPR's Bill Chappell contributed to this report.